After a relaxing one week stay at Santorini, we decided to stopover at Mykonos: the ultimate party destination on the Greek Island. 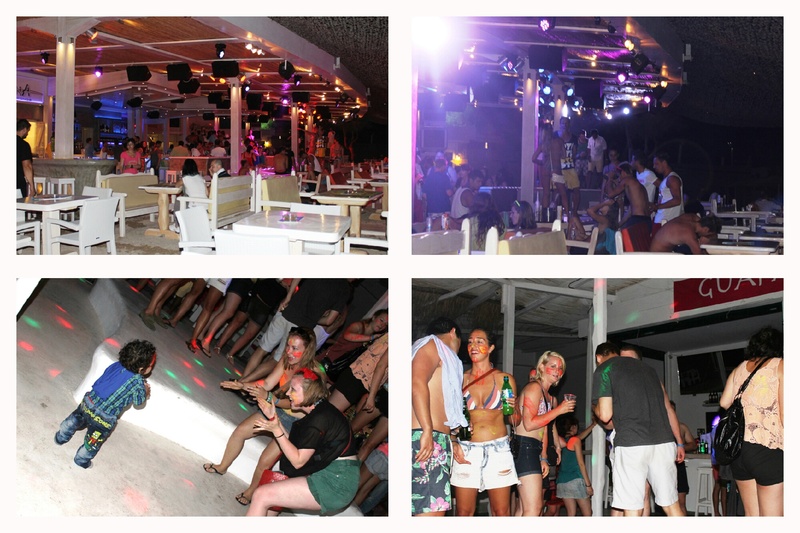 Mykonos is known for its risqué nightlife with swanky beach clubs that party till the early hours of morning. Set in a beautiful old town coupled with unspoiled beaches, Mykonos is one party island that’s crazily unique. 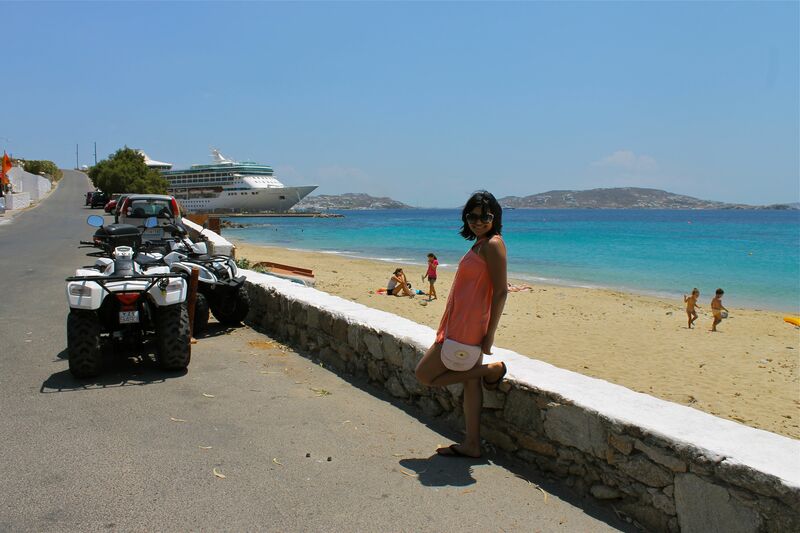 It was a last minute plan to visit Mykonos and I am so glad we did it. Instead of a flight, we decided to travel by a Ferry. 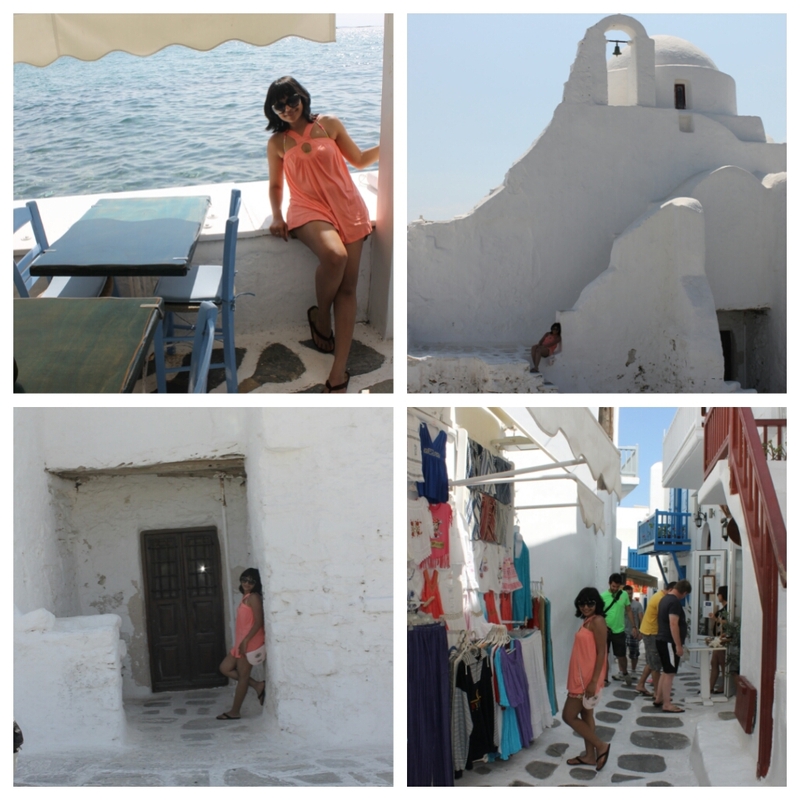 It was very easy to book the Ferry; one can walk-in to any of the travel agencies located at the Fira town of Santorini. 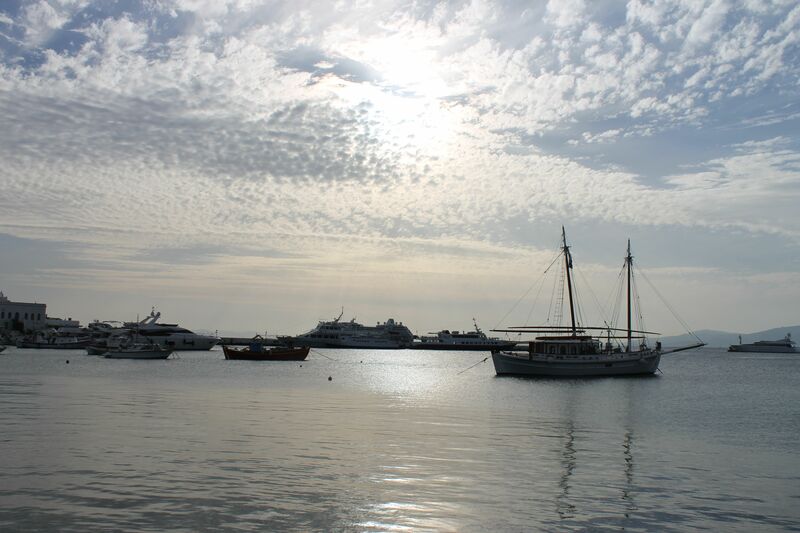 We took the High-Speed Ferry from Hellenic Seaways to reach the beautiful port of Mykonos in about two and a half hours. 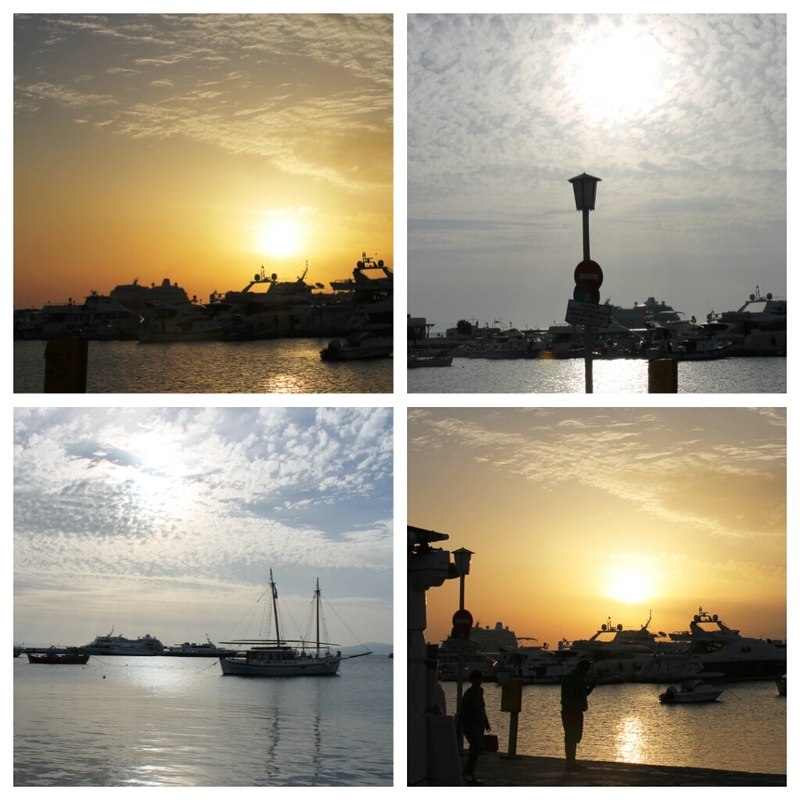 I took these pictures of the port. Isn’t it beautiful? 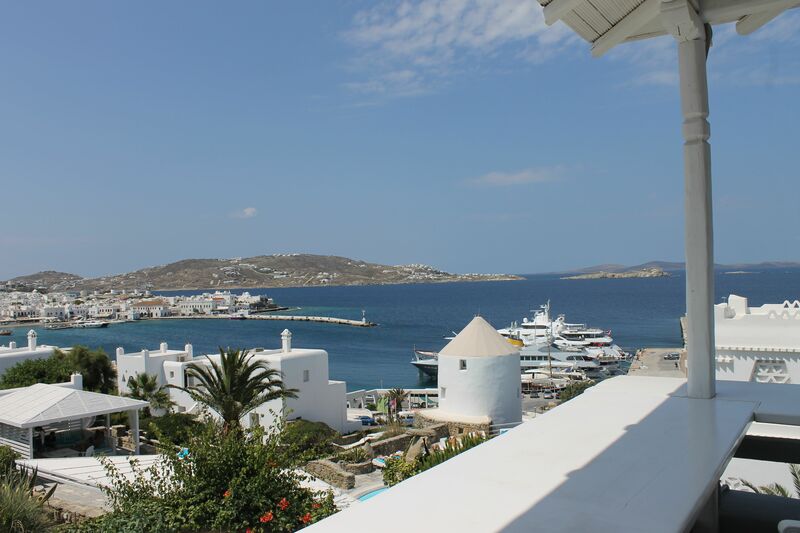 The Hotel, Porto Mykonos; is located right across the port but at quite a height above sea level. My legs complained as we walked up the hill to reach it but my eyes were fixated at this stunning white washed hotel. Our room was beautiful with the balcony overlooking the port. Hotel staff was friendly and very helpful. The swimming pool was decent and quiet. 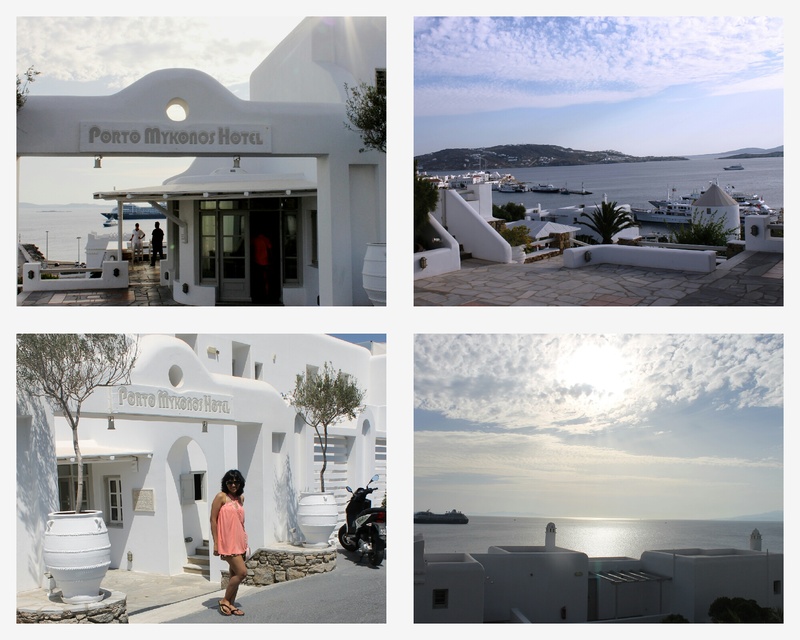 The best thing about the hotel was that it was located a short distance from the main center of the Island in the Mykonos Town (Chora) hence very well connected. The bus stop is located right at the port. One can take the Bus schedule from the reception of the hotel and catch them to the respective beaches. We spent two nights at the Island. On day one, we went to the town market and had sumptuous lunch by the port that had amazing Greek and international restaurants. All the restaurants were packed with tourists. 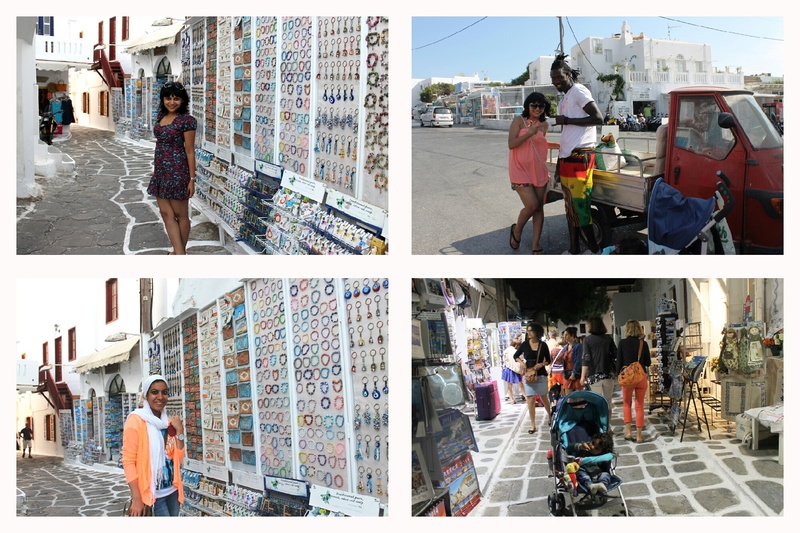 Speaking to a few locals made me mindful that the island is visited by many international celebrities especially in summers and I was hoping to catch a glimpse of a few of them 🙂 The market had beautiful Jewelry shops, souvenirs shops, clothes and amazing ice cream parlors. 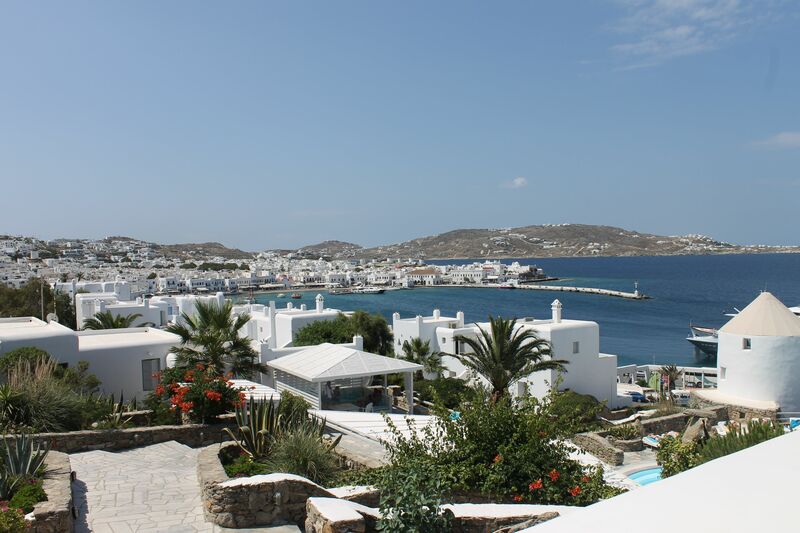 Mykonos town has whitewashed cube-like houses positioned next to each other in a chaotic jumble of thin alleyways and streets. On our way to the main square we saw many tiny churches and chapels. The pleasant feel of the place, the friendly people, and the maze of tiny shops in the market made me appreciate this completely different world. Have a look!! From the main square of the market we took the bus to go to the most recommended Paradise beach. It is said that the party at this beach goes on day and night. Paradise Beach is a perfect place for sunbathing on the golden sand and swimming in the deep blue waters of the Aegean Sea. The beach seemed like a town in itself with tourists from all nationalities gathered together to party crazy and let free of their inhibitions. 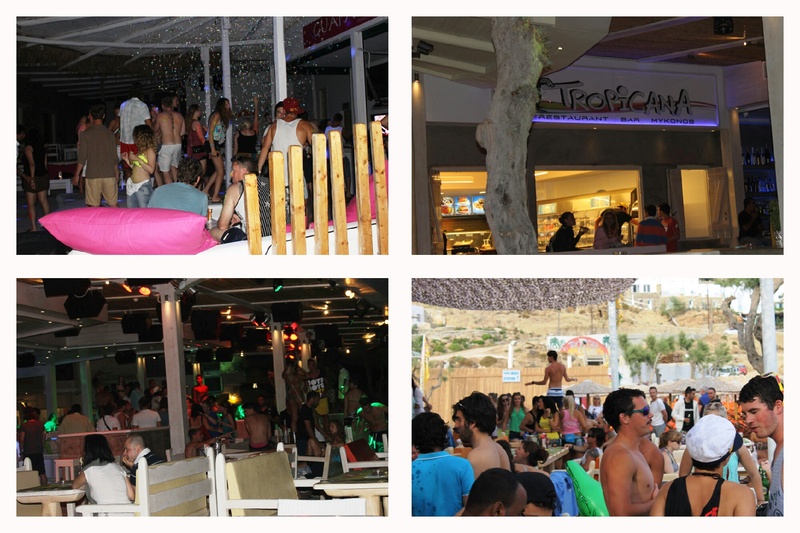 We parked ourselves at the Tropicana beach bar; it is known to be the 2nd sexiest bar in the world. I met a lot of Arabs from Kuwait, Saudi and UAE. They were the ones who had occupied the front three tables next to the bar. 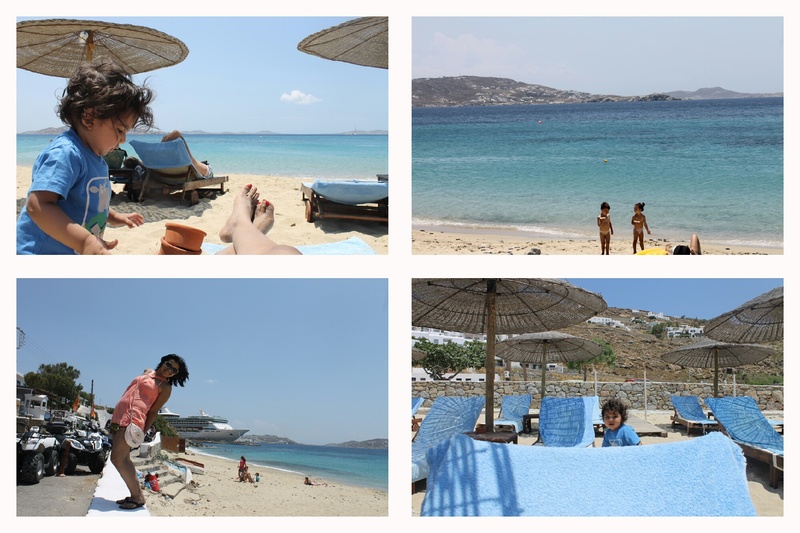 After spending some time there I realized why it’s the most visited island of Mykonos. As the name suggests, it is indeed a Paradise for many!!! 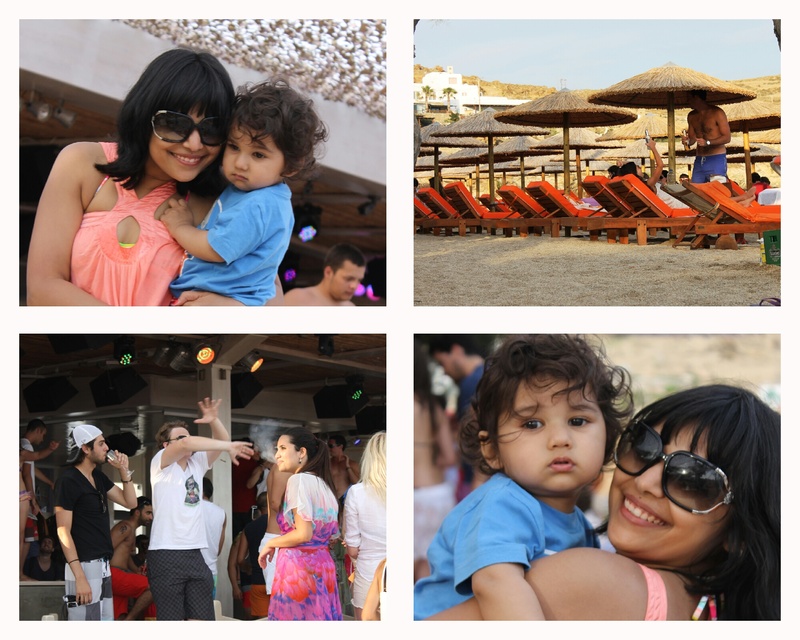 Have a look at the pictures from the club. 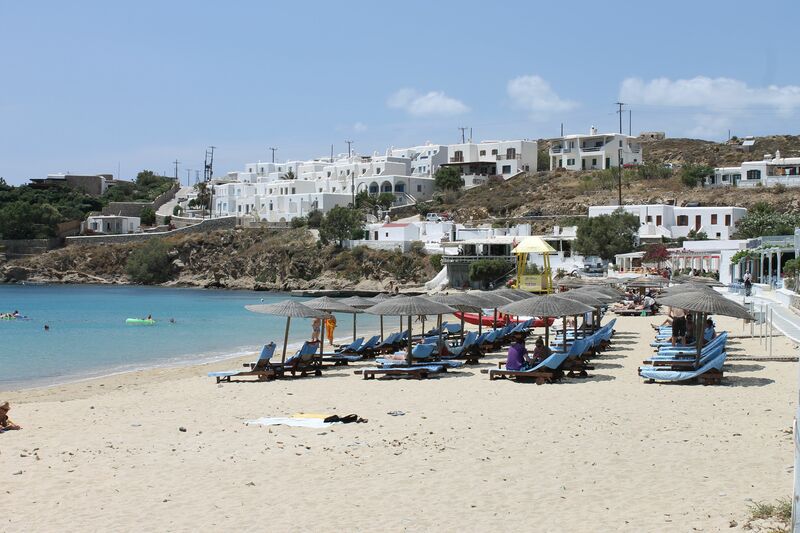 The next morning we decided to head to a beach called St. Stefanos. It’s a beautiful beach with lot of naughty kids & elderly people among the tourists. We relaxed and spent the morning at the beach swimming, reading and listening to music. Some pictures from the beach. For lunch we went to the “Little Venice” located in the main town market. Here the buildings have been constructed on the sea’s edge with balconies stretching right above it. We had a relishing Italian lunch at Venezia. 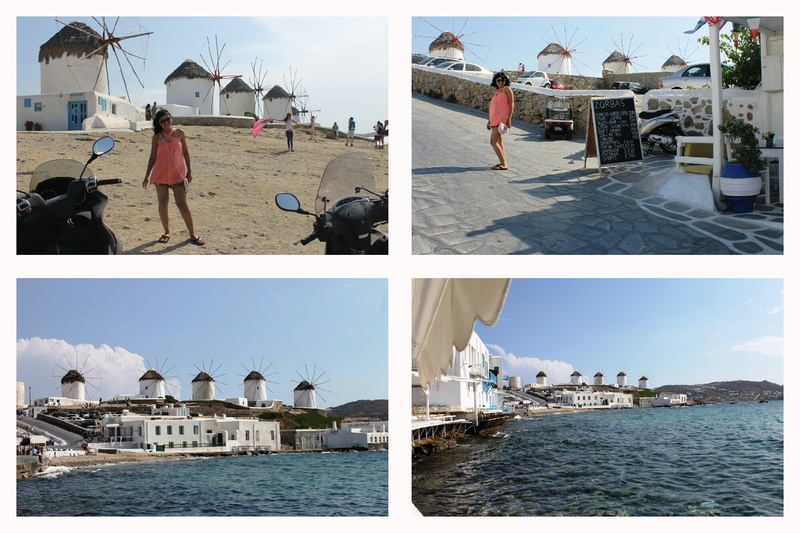 Further down Little Venice, we walked up to the Windmills, one of the most recognized landmarks of Mykonos. I was very excited to see the windmills for the first time. We visited a few more town shops before heading again to the Tropicana beach club. 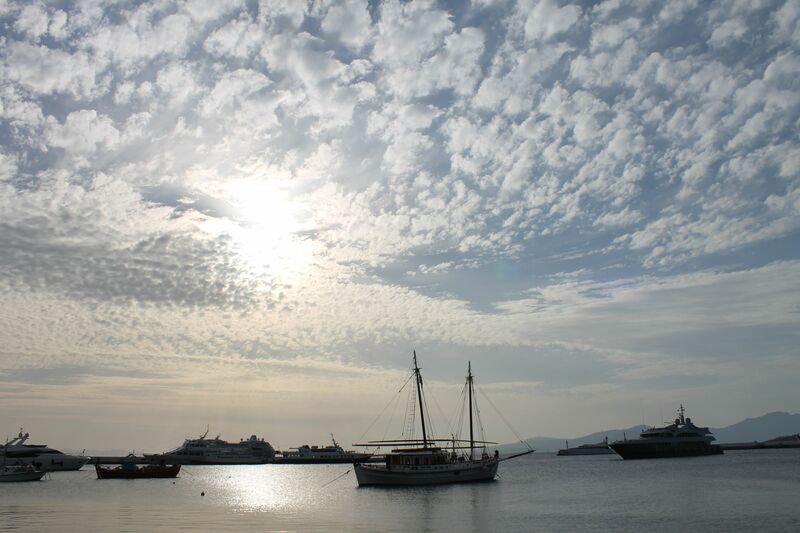 That day seemed to pass away in a second and it was time to say Good-Bye to Mykonos & head to Athens. It was a crazy place to be. I had never thought that I would party with my 16 months old baby for two fun filled days. Surely a place to visit at least once in your life time. Beautiful location!! It seems like a perfect mix of party and culture. For sure my next in the list. Lovely images. Thanks for sharing. Very beautiful photos and rich material! Your child is beautiful, and although it had a small padaki managed to spend a few days in a very disputed island and many people! Definitely not rented motorcycle Mykonos usually convenient in transportation for anyone who wants to turn the island! Rented some other means or pull it off the means of transport? Your Greek cuisine like? Thank you for sharing your experience on the island!